After a fun morning walking around Valletta we then spent the afternoon exploring the ancient hilltop walled city of Mdina. Luckily for the kiddos there was a playground right by the parking lot. I know I say this every time, but I need to compile all of the pictures of them on playgrounds from around Europe! 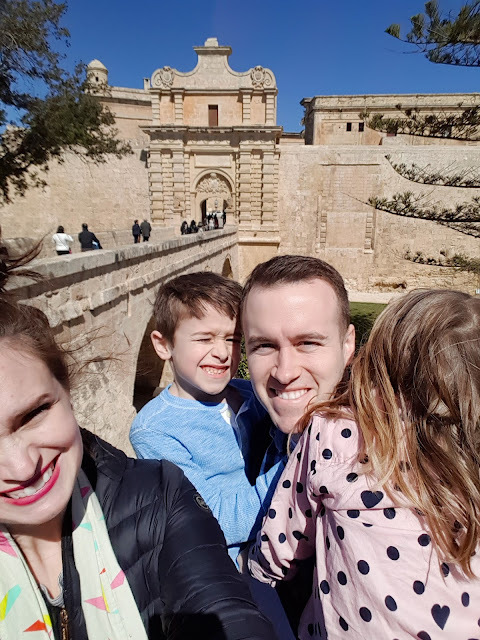 The citadel of Mdina was fortified from as long ago as 1000 BC when the Phoenicians built a protective wall around their settlement which was called Malet. When they Romans came they expanded this city and renamed it Melita. 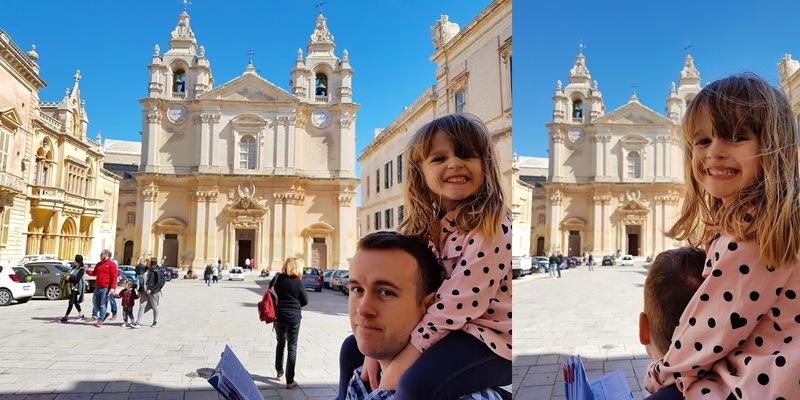 The town was once again renamed in the 9th century when the Arabs arrived and called it "Mdina" from the Arabic word medina meaning "walled city." Side note: we don't watch Game of Thrones, but there was a walking tour going on pointing out the sites where scenes were filmed around here. In medieval times, Mdina was the favored residence of the Maltese aristocracy, but when the Knights of St. John arrived in Malta the city sank into the background since the knights were largely a sea-based force and moved the capital to Valletta. 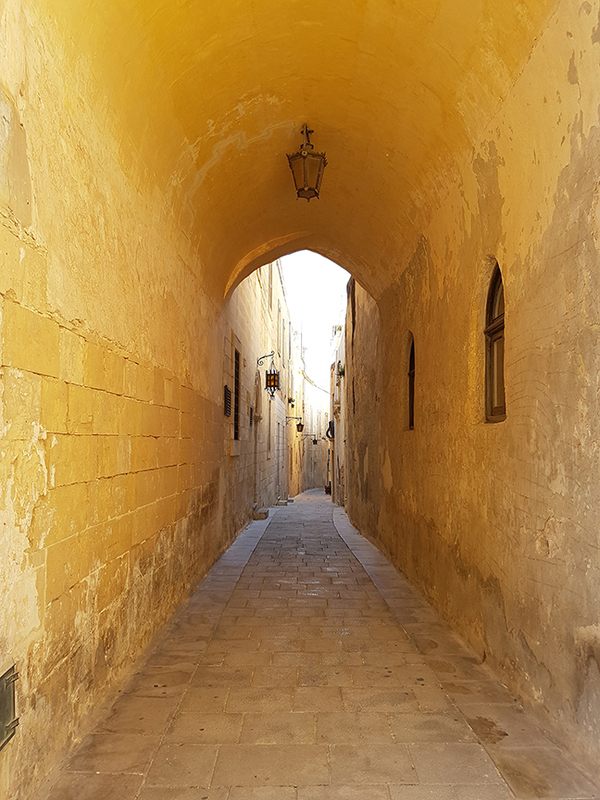 Today, with it's massive walls and peaceful, shady streets, Mdina is a world away from the hubbub of modern Malta. 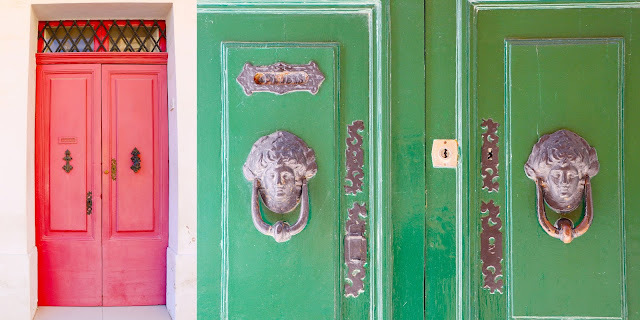 Colorful doors and intricate knockers. St. Paul's Cathedral is built on the site of the villa of Publius, the Roman governor who welcomed St. Paul to the island in 60AD. 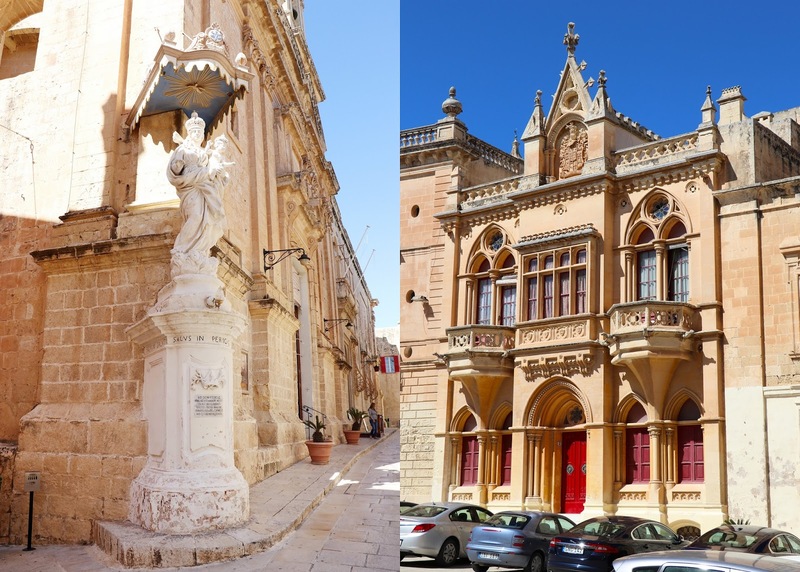 The nickname of Mdina is "The Silent City" and it suits this peaceful, tranquil place. We loved poking around the atmospheric back alleys. There are some exquisite architectural details hidden throughout the city. Plus, the city's location perched on the hill top offers sumptuous views over Valletta and out to sea. Jane and Chris taking it all in. I love the pops of red. Even the car matched. 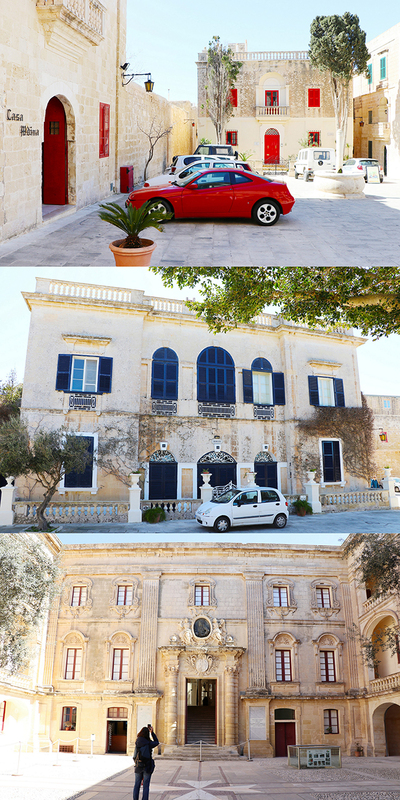 :) Outside the walled town is the recently rejuvenated Mdina Ditch Garden. 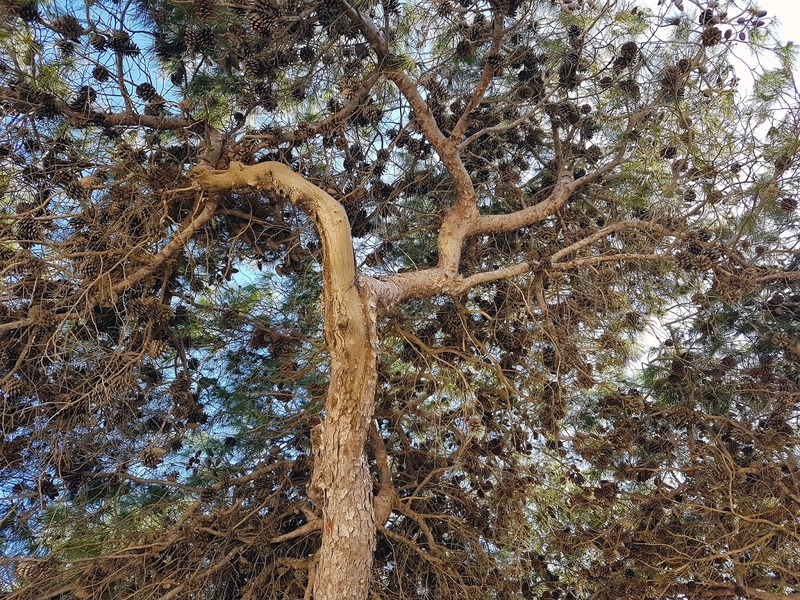 Check out how many flippin' pinecones are in this tree! The sunken area around the city walls was an important part of the city's ancient defenses. In recent years, however, the walls were overgrown with ivy and vegetation and the ditch was filled with citrus trees. In 2015 the ditch was cleaned out and the restored bastions now gleam splendidly. The kids having fun protecting the city with a couple of the cannons. The next day we went all around southeast Malta! What a beautiful city!!! Loving her 'camera' smile and 'real' one!!! Tooooooooooooo cute!!!!!!!!!!!!!! !